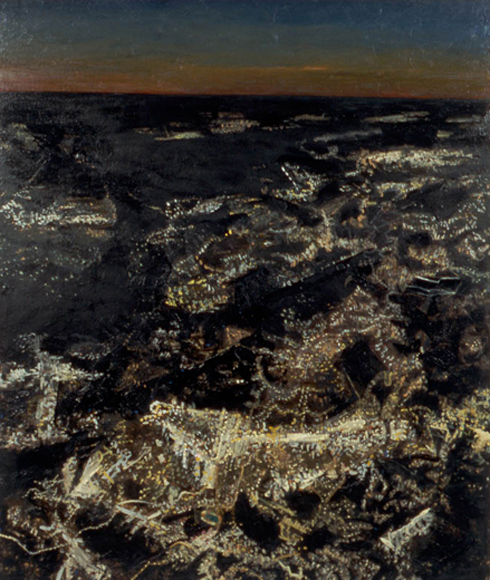 Locust (oil) 2014, oil on linen, 62 x 46 in. A Note for You 2015, oil on linen, 30 x 39 in. 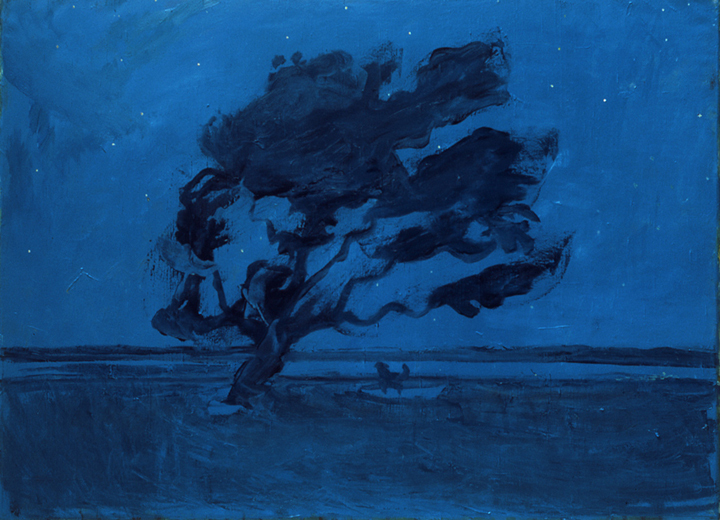 4 AM 2015, oil on canvas, 44 ½ x 34 ½ in. Three Houses 2014, oil on linen, 32 X 43 in. 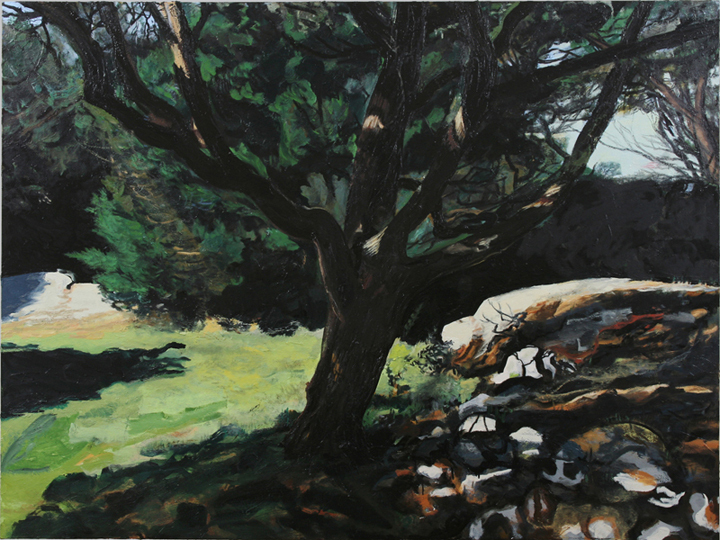 Juniper Tree 2013 2014, oil on canvas on wood, 52 ½ X 70 in. 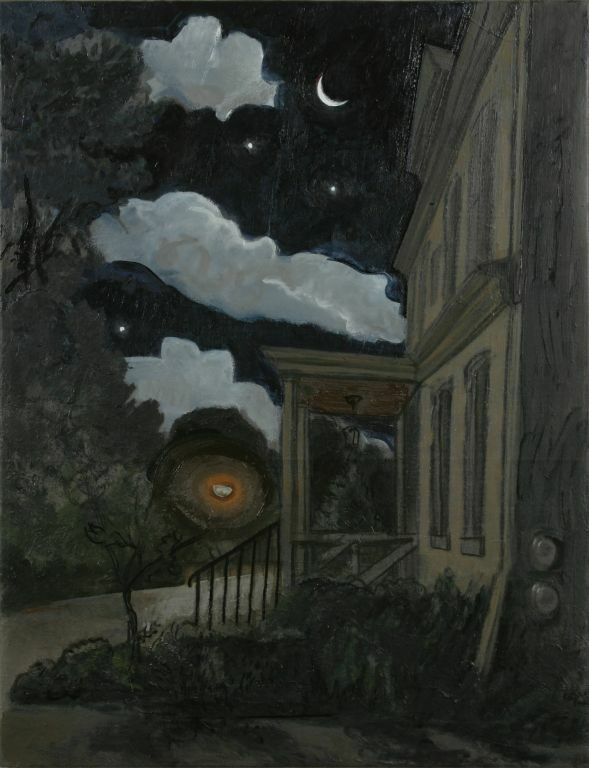 Sunday Night 2012, oil on canvas, 38 X 57 in. 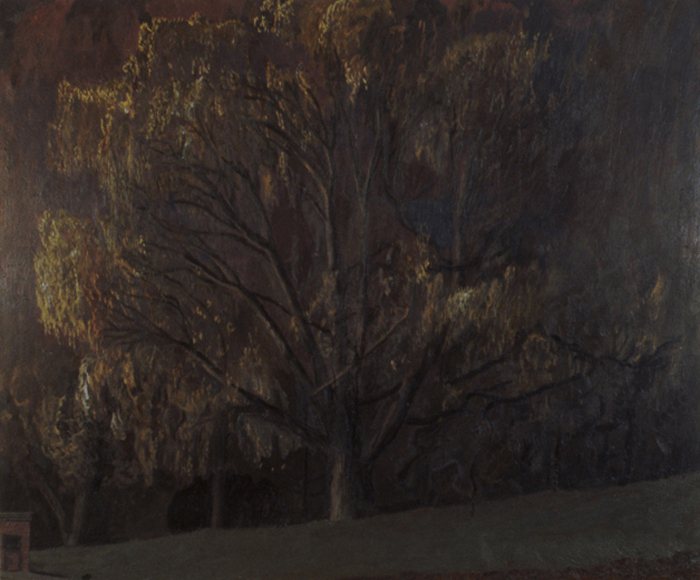 Reservoir/Election Day 2008 2010, oil on canvas, 28 ½ x 68 ½ in. 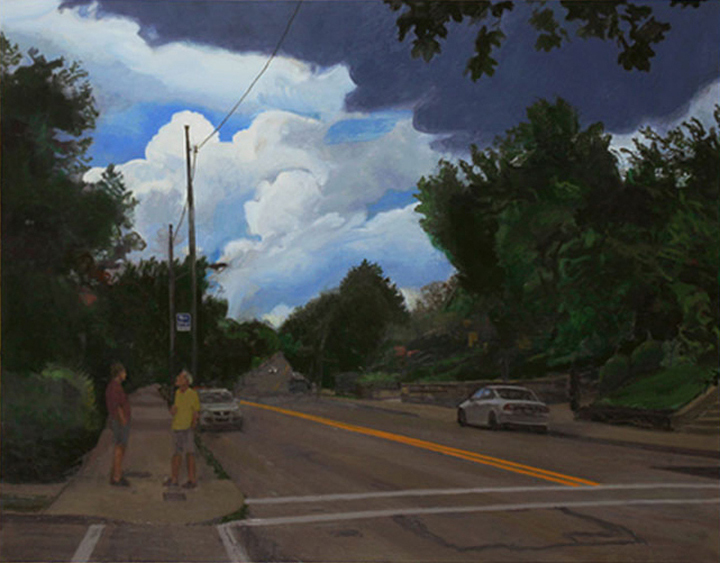 After Highland Park 2008, oil on canvas, 44 1/2 x 56 1/2 in. 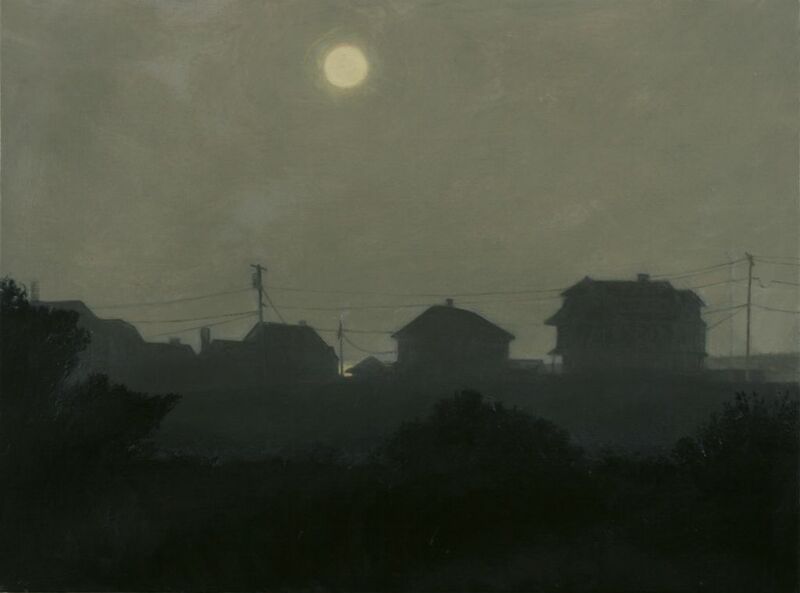 Daybreak at the Harbor 2007, oil on canvas, 39 x 57 1/2 in. 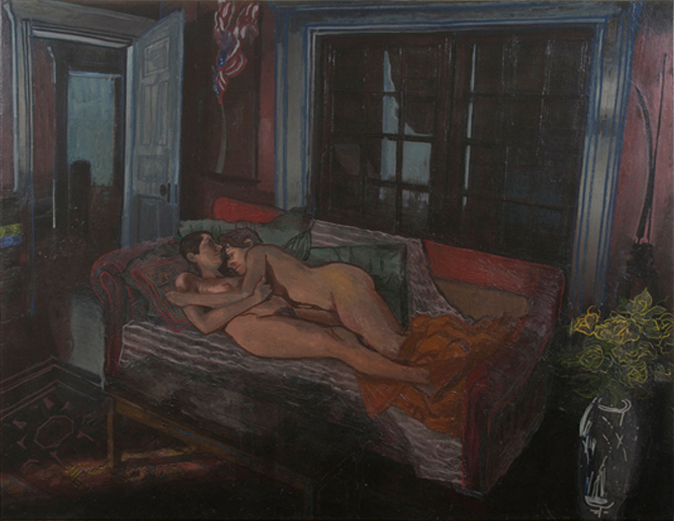 Couple 2006, oil on canvas, 57 x 74 in. 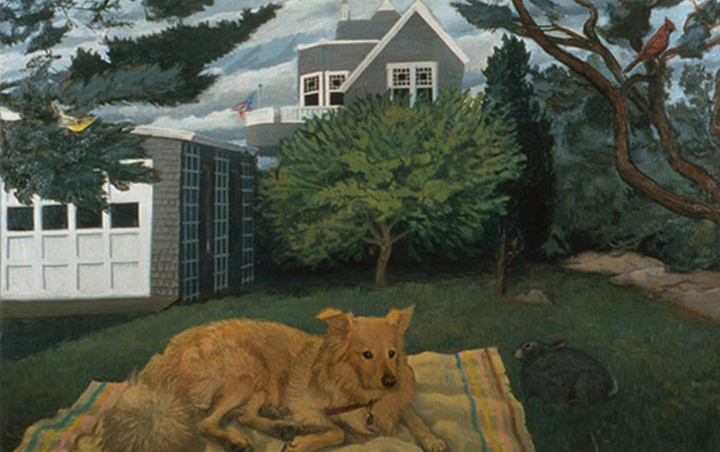 Liz and Lucy 2003, oil on canvas, 65 x 48 in. 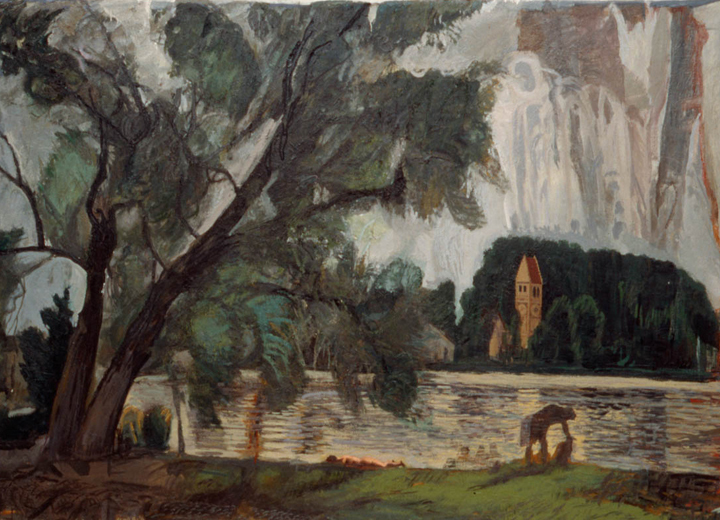 Reservoir/Strange Cloud 2002, oil on canvas, 35 x 72 1/2 in. 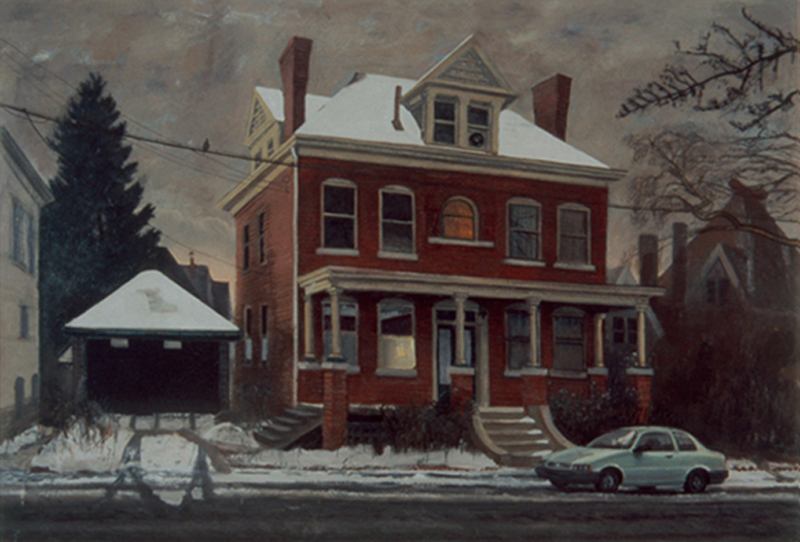 House on Jackson Street 2002, oil on canvas, 33 x 55 in. 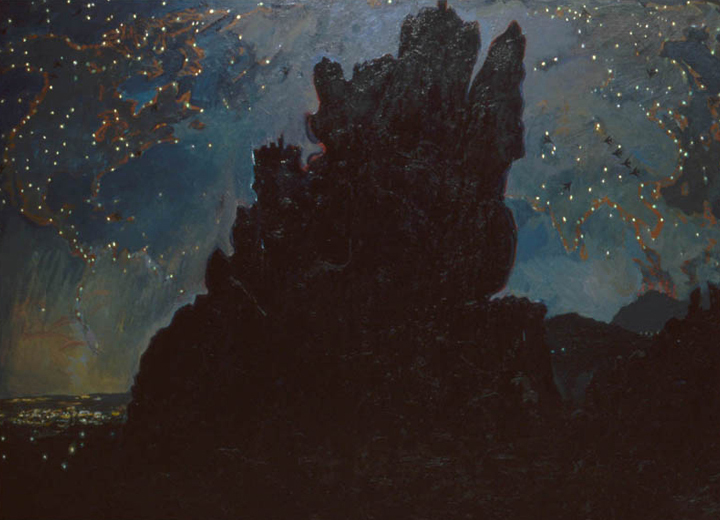 Milky Way 2001, oil on canvas, 42 ½ x 53 in. 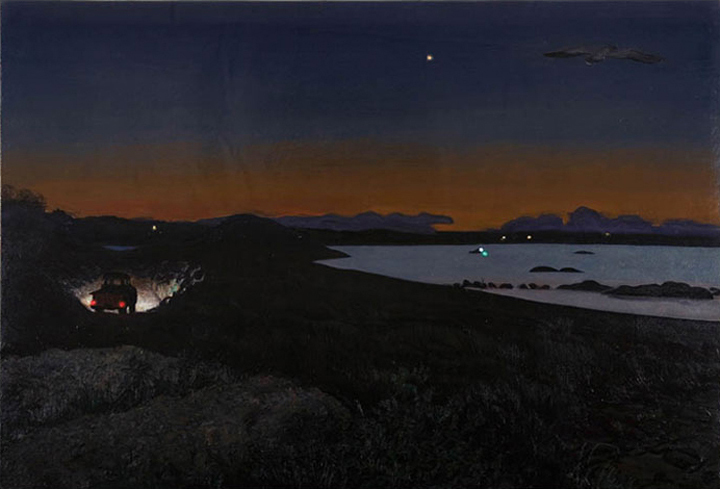 Ted 1999, oil on canvas, 47 x 73 in. 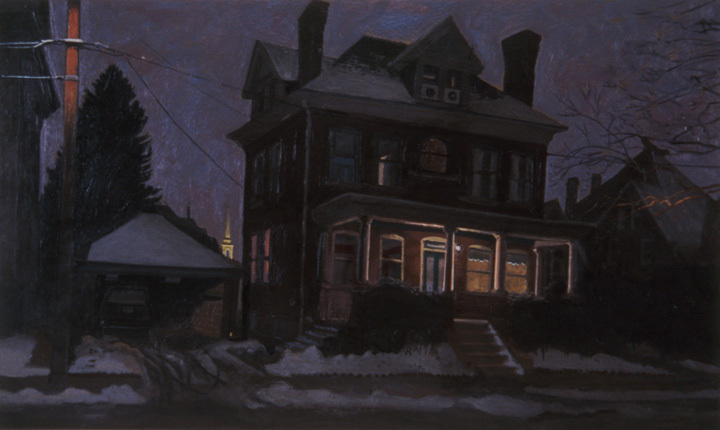 At Home in Pittsburgh 1999, oil on canvas, 49 ½ x 71 ½ in. Leaving Dulles 1996, oil on canvas, 53 x 44 in. 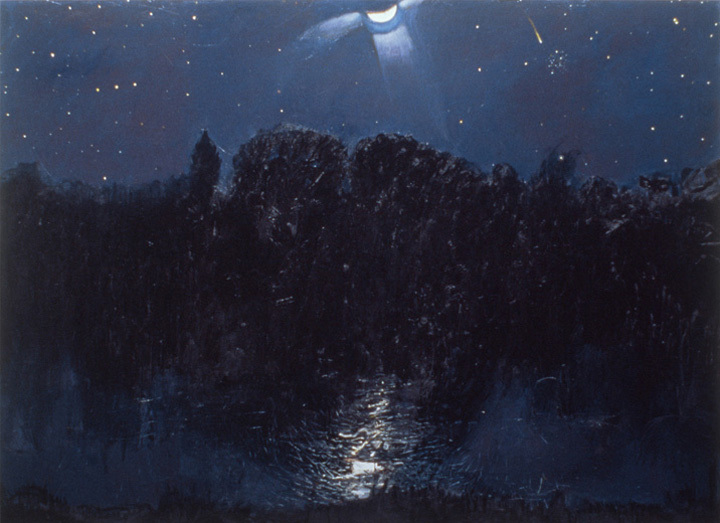 Near Nonquit Pond 1994, oil on canvas, 43 x 64 ½ in. 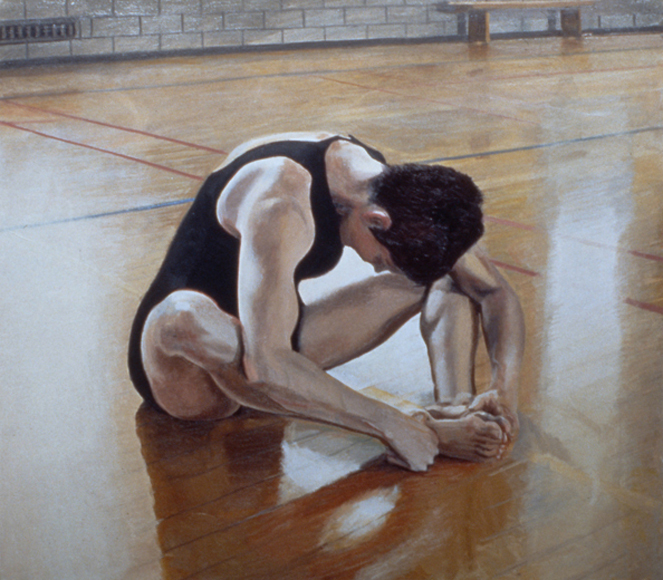 Laurie in the Gym 1994, oil on canvas, 40 x 45 in. 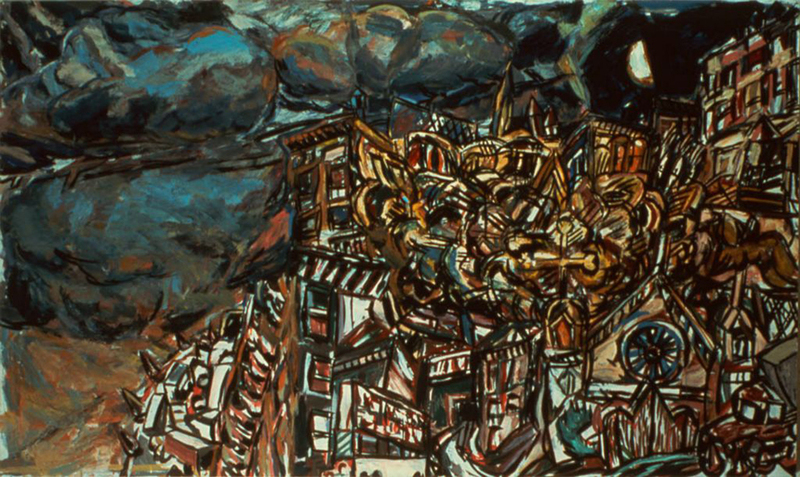 Convergence 1992, oil on canvas, 51 x 69 ½ in. 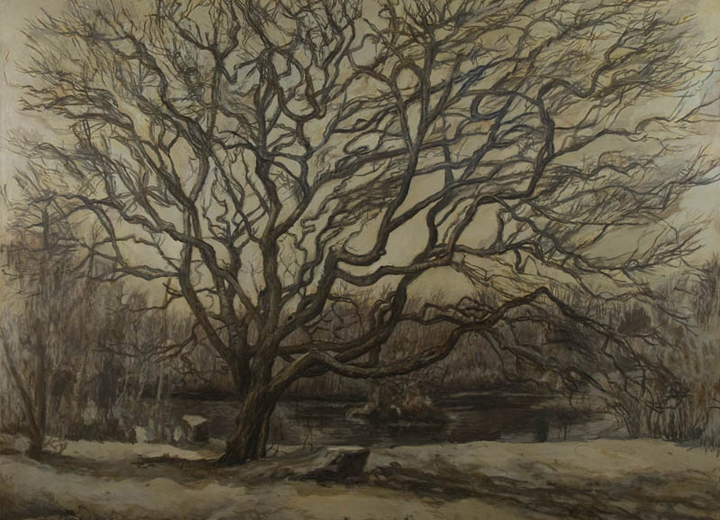 Tree and Pond 1992, oil on canvas, 72 x 95 ½ in. 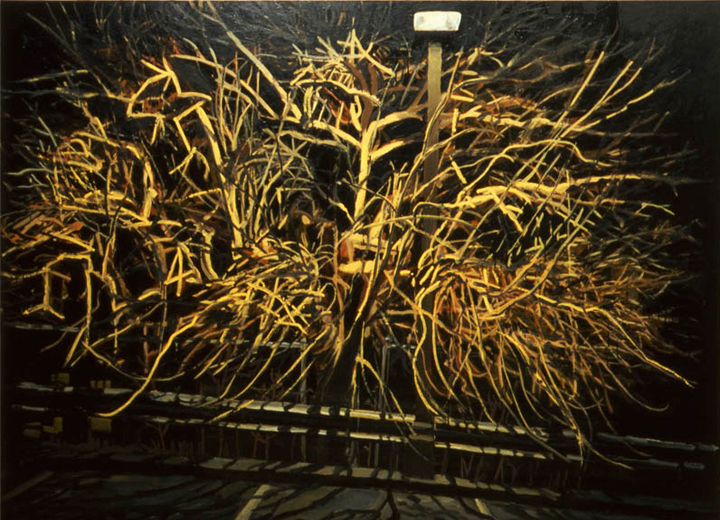 Willow #3 1991, oil on canvas, 62 x 73 in. 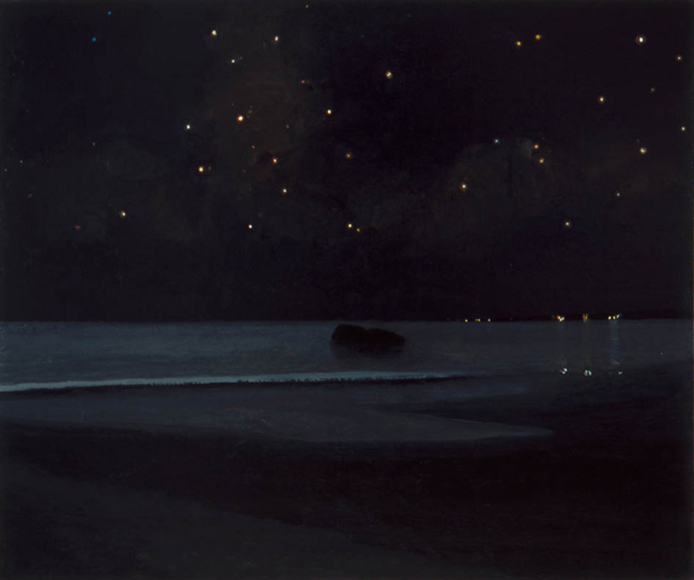 The Beach Club 1990, oil and sand on shaped canvas, 30 x 75 in. 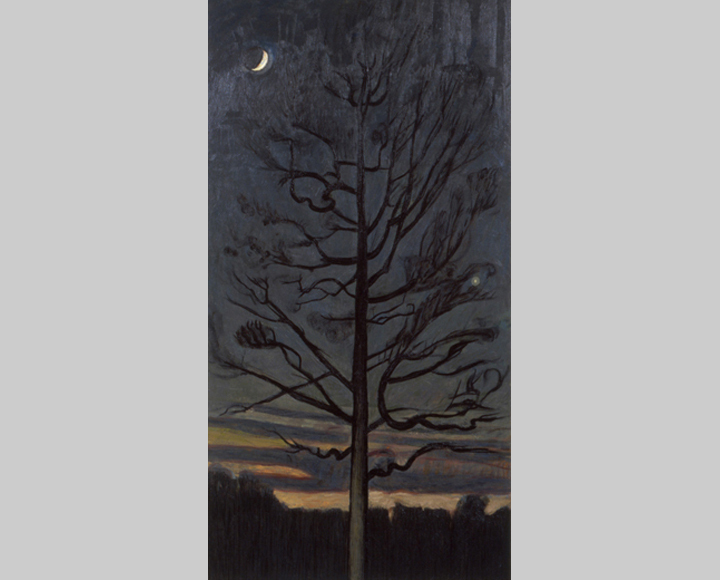 Pin Oak 1988, oil on canvas, 89 x 46 ½ in. 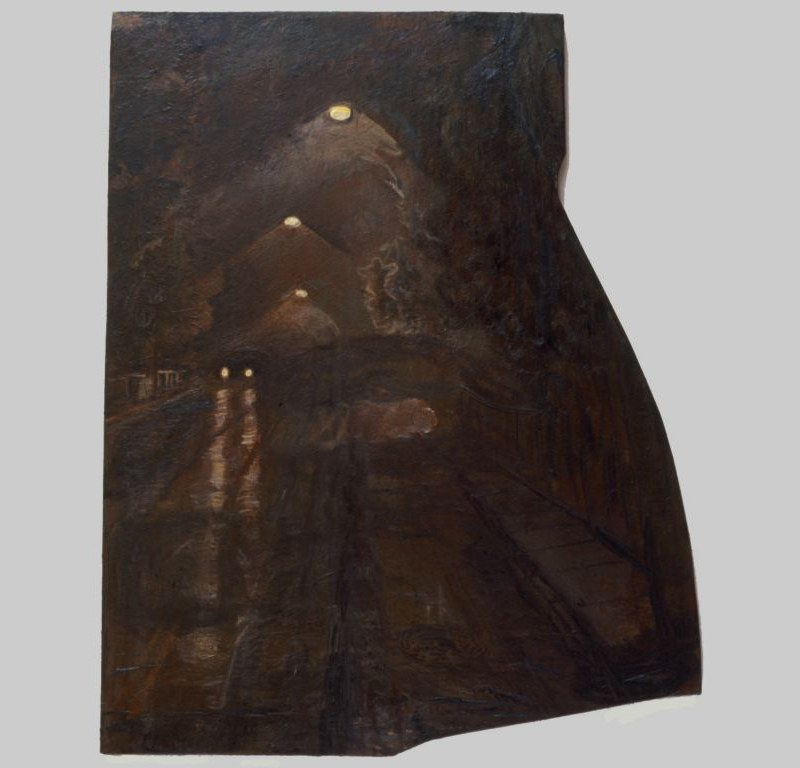 McArdle Roadway 1988, oil on shaped canvas, 58 ½ x 46 ½ in. 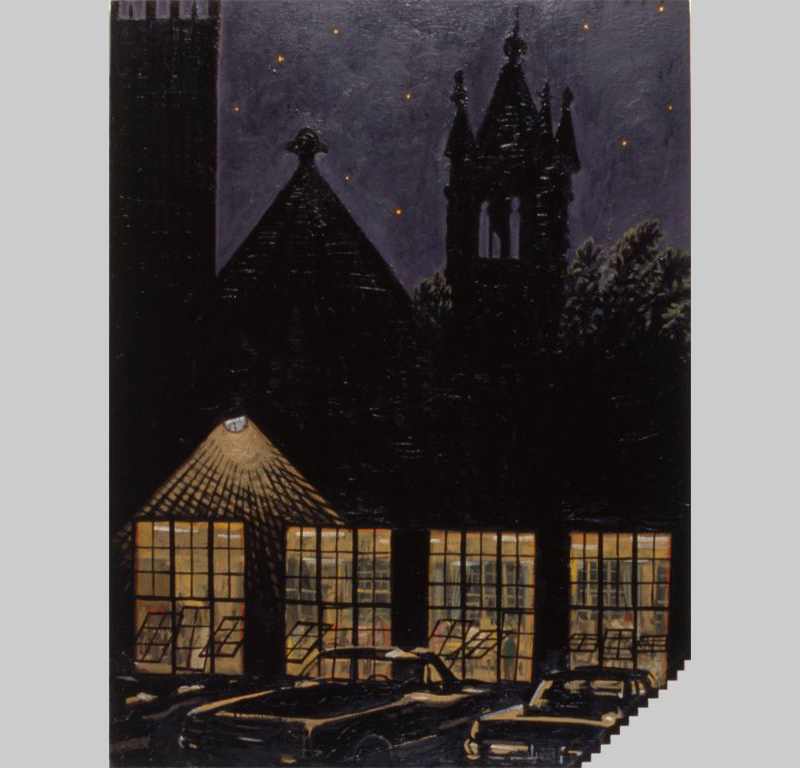 Epiphany 1987, oil on shaped canvas, 67 x 50 in. 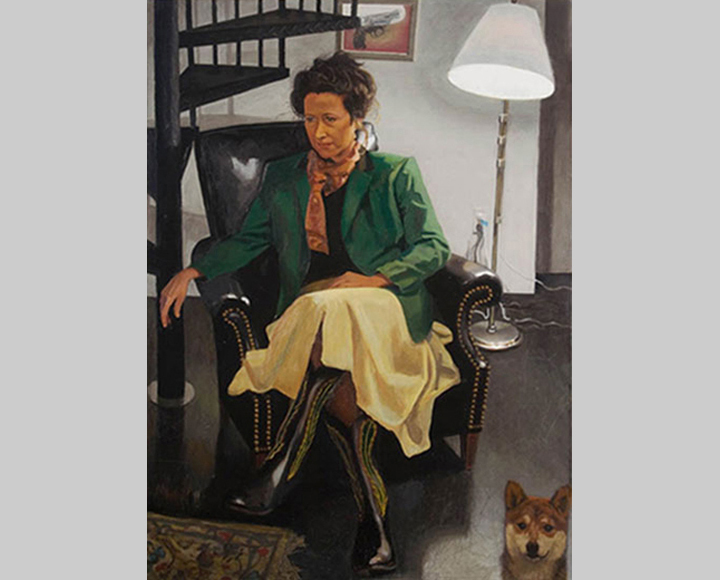 Oma at Wessling 1987, oil on canvas, 64 x 91 ½ in. 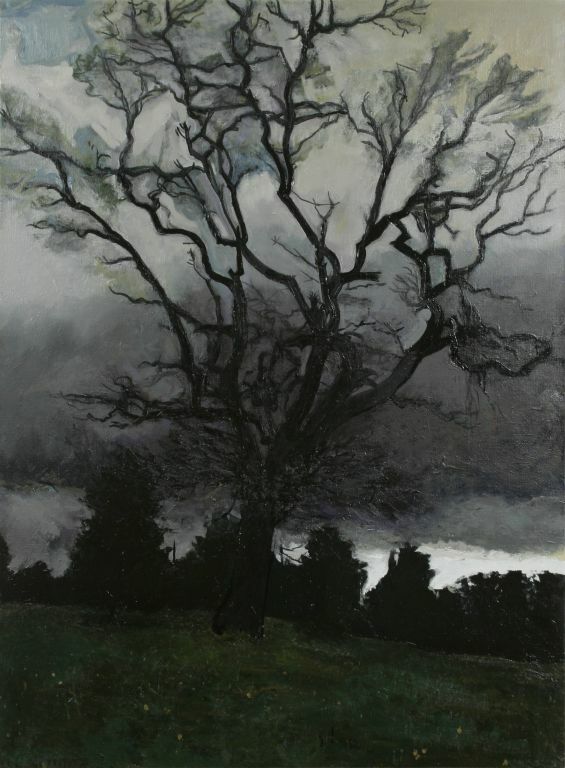 Streeter’s Tree 1986, oil on silk, 32 x 43 in. 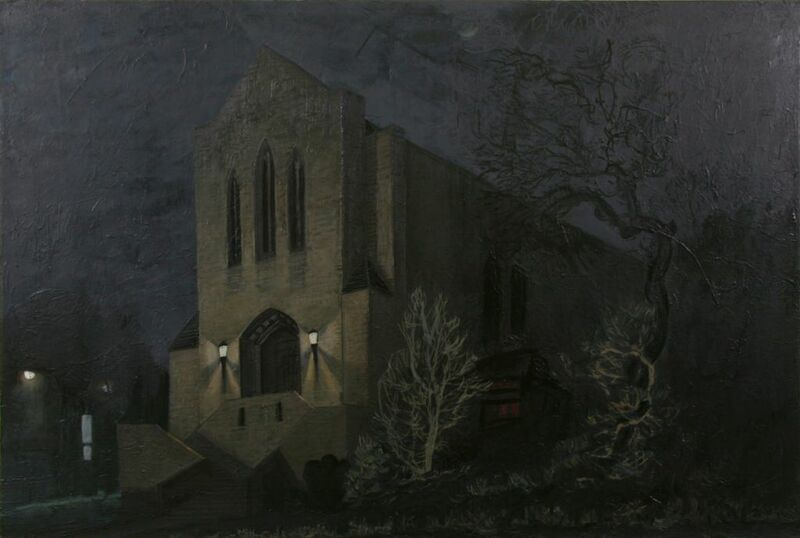 The Garden of the Gods 1985, oil on canvas, 70 x 95 in. 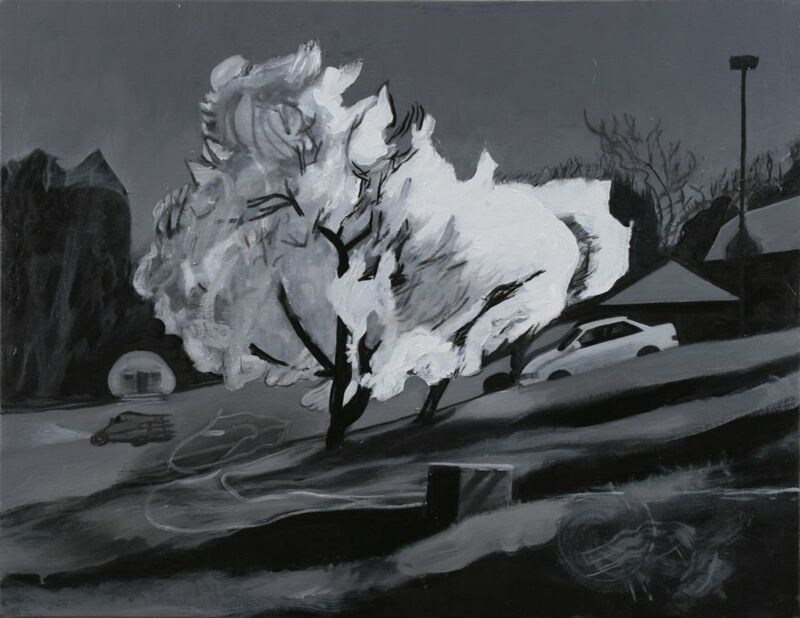 Tree Behind Wendy’s 1985, oil on canvas, 66 x 88 in. 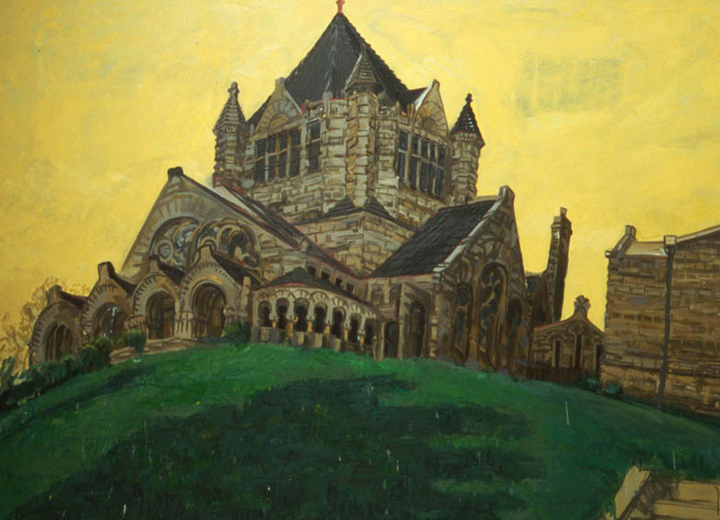 Church with Yellow Sky 1984, oil on canvas, 70 ½ x 95 in. 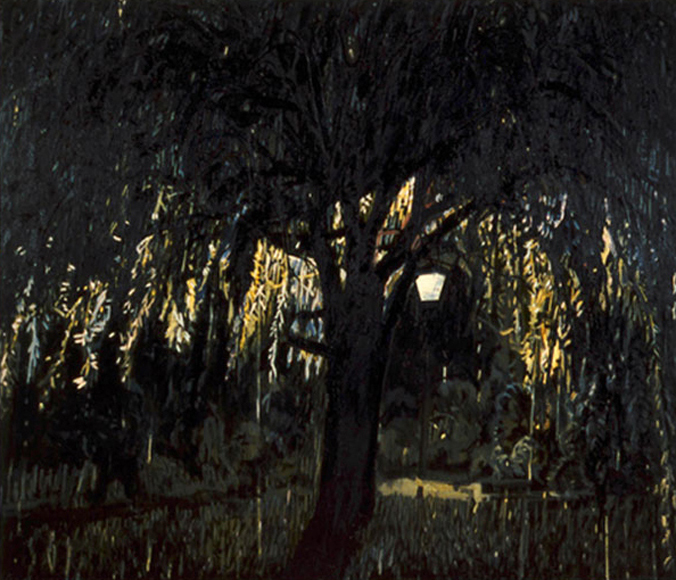 Willow Tree 1984, oil on canvas, 71 x 82 in. 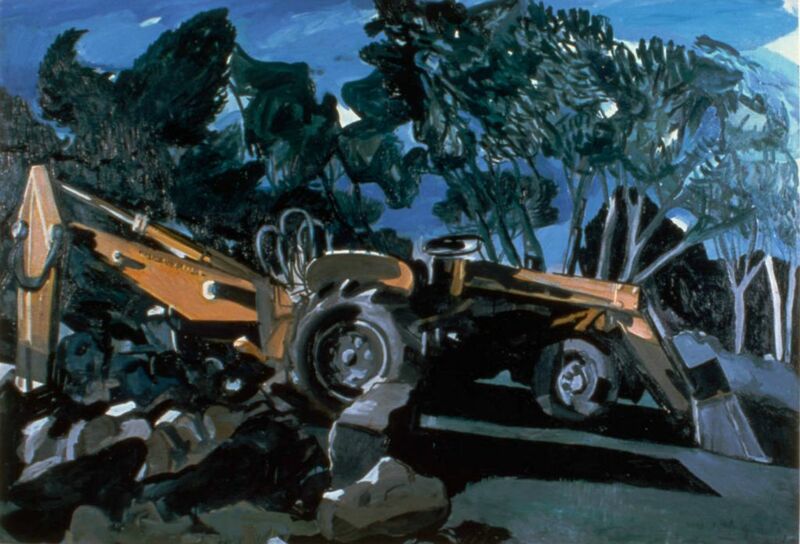 Backhoe 1984, oil on canvas, 59 x 85 in. 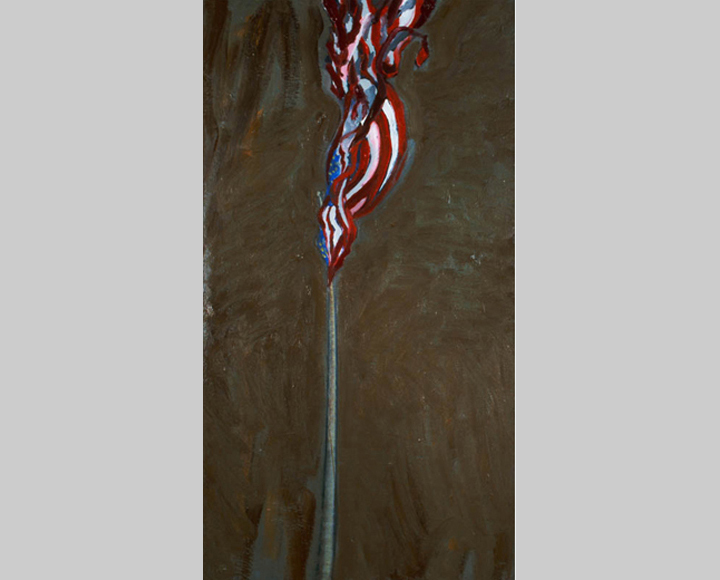 Flag 1983, oil on canvas, 62 x 34 in. 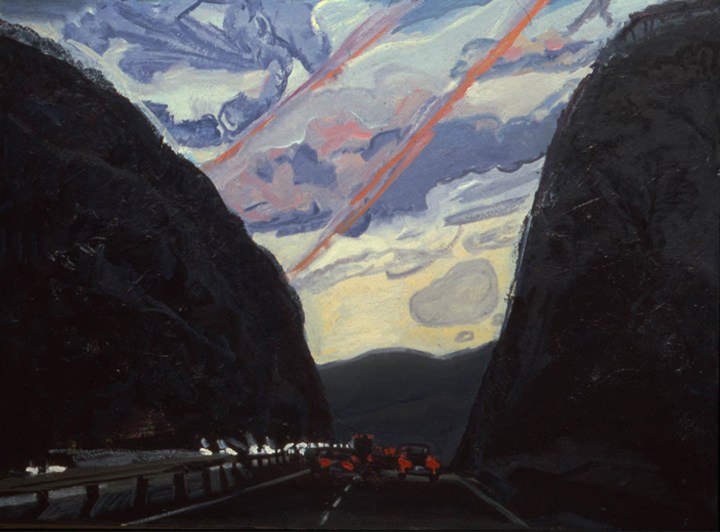 PA Turnpike #1 1982, oil on canvas, 46 x 62 in. 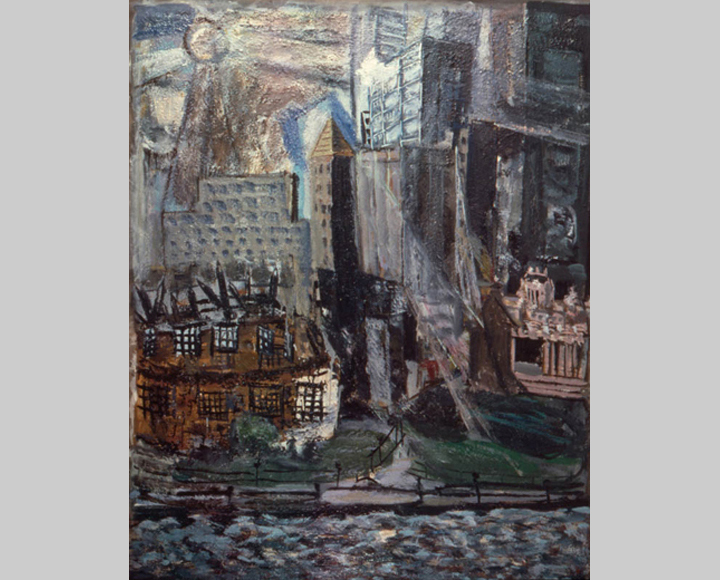 Battery Park 1975, oil and sand on canvas, 62 x 49 in. 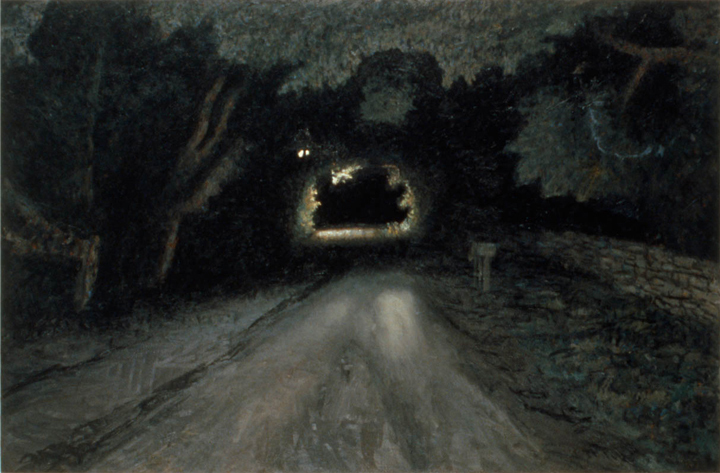 Park Fast 1974, oil on canvas, 55 ½ x 63 ½ in. 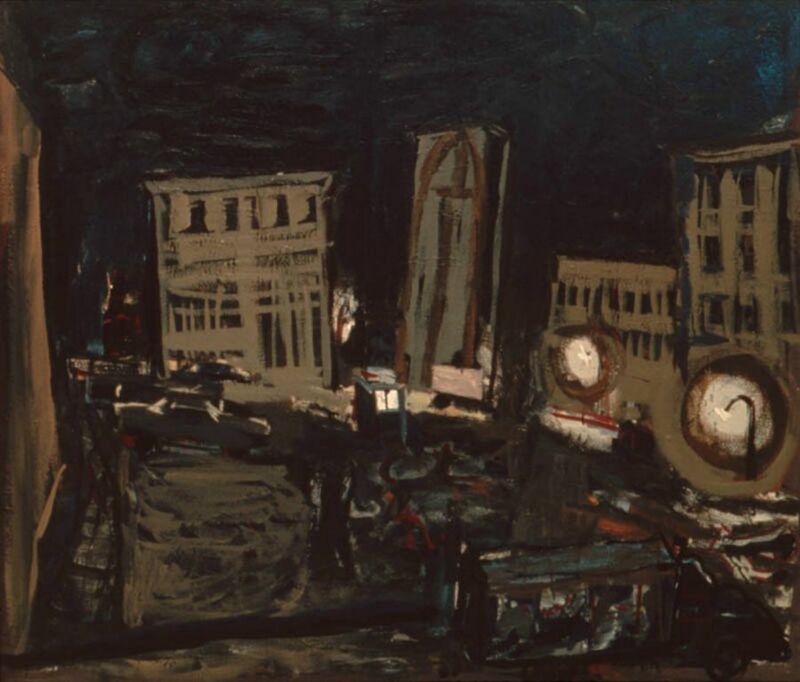 Little Italy 1974, oil on canvas mounted on wood, 55 x 90 ½ in.